In 2007, the Interior Department wasn't skimping on its own interior. 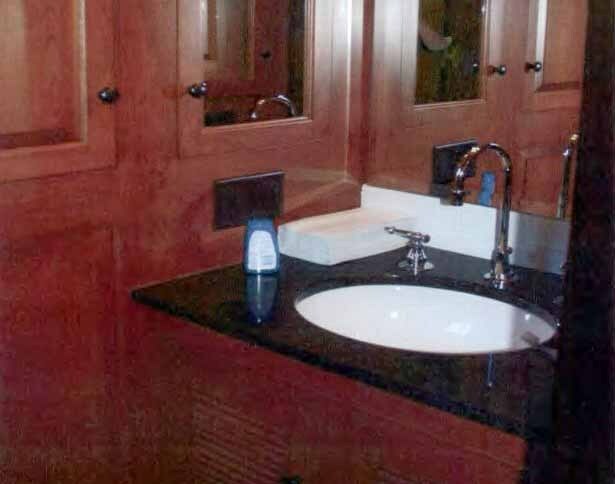 The department spent $222,000 that year to renovate the bathroom in the interior secretary's private office. Under the direction of President George W. Bush's Interior secretary, Dirk Kempthorne, the department made a number of lavish renovations to the 100-square-foot bathroom: New wall panels cost more than $1,500, while custom cabinetry was installed for $26,000. The bathroom was outfitted with a $689 faucet, a $65 vintage tissue holder and even a $3,500 refrigerator. The renovation was pricey enough to spark an internal investigation in 2009. Cox Media's Washington bureau filed a Freedom of Information Act request to obtain the results of the review and finally received those documents this year. "A number of the items incorporated into the renovation project call into question the need for luxurious materials," government auditors wrote in the 2009 report. The Interior Department said the renovations -- which were approved and contracted by the General Services Administration -- were needed because of water leaks in the bathroom. The GSA told CBSNews.com, "These renovations began in 2007, which predates the current leadership at both the GSA and the Department of Interior. Under the current leadership, we have greater oversight to ensure the responsible use of taxpayer dollars. The renovations were part of a larger restoration project at the historic facility." "The country is broke," David Williams, president of the Taxpayers Protection Alliance, told Cox. "We can't afford, as taxpayers, the remodeling of bathrooms or any rooms that don't need to be remodeled." When it isn't renovating bathrooms, the Interior Department is responsible for the oversight of federal lands, natural resources and programs relating to Native Americans.